Deforestation and fire wood collection is destroying habitats. WWF welcomes the European Commission’s intention to step up EU action against deforestation and forest degradation, as indicated in today’s publication of a roadmap towards a Communication, which is expected to be adopted in the second quarter of 2019. This initiative follows numerous calls by NGOs and other civil society organisations, and clear demands by the European Parliament and the Member States that are signatories of the Amsterdam Declaration. 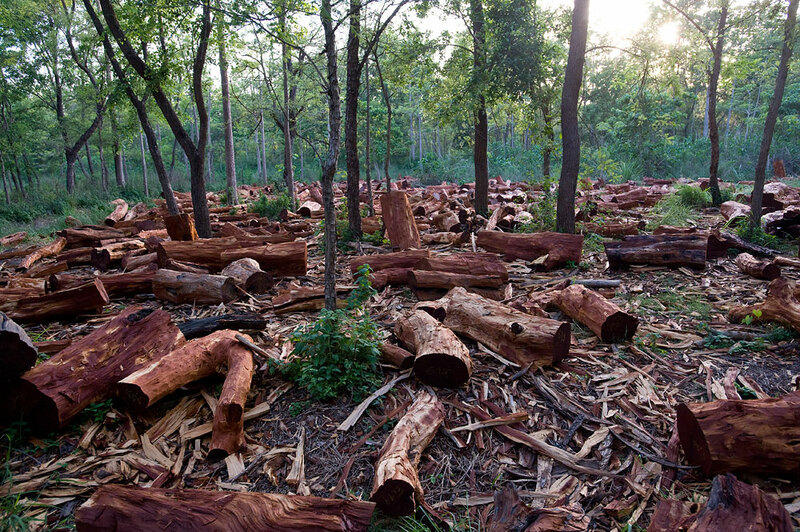 EU consumption is a key driver of deforestation around the world, caused by commodities such as soy, palm oil, cocoa or meat, of which the EU is a top importer, accounting for as much as 36% of all global imports of crop and livestock products associated with deforestation. Deforestation and forest degradation are known to cause severe environmental and social impacts, including climate change and human rights abuses. This Commission’s initiative is a positive first step as time is running out for the EU to uphold its international commitment to end deforestation by 2020, as agreed to under Sustainable Development Goal 15, as well as other commitments like the Paris Agreement, the 2014 UN New York Declaration on Forests, and the CBD Aichi targets. WWF is now calling on the Commission to develop strong and robust legislative measures to effectively tackle the EU’s global forest footprint on forests worldwide from agricultural commodity supply chains and ensure commodities being imported to the EU market are sustainably produced and deforestation-free. Voluntary commitments alone will not be sufficient and new legally binding tools are essential to ensure that the future communication adequately addresses the problem. In its feasibility study published in March 2017, the EC had already looked into different policy options, including further regulation. The publication of the roadmap will be followed by a public consultation, allowing different stakeholders to feed into the Commission communication. Together with its partners, WWF will continue to work on ensuring that this initiative results in guaranteeing that neither products placed on the EU market, nor the financial sector and investments, cause deforestation, forest degradation or violations of human rights. The Amsterdam Declaration on stopping deforestation was launched on 7 December 2015 with the intention of achieving fully sustainable and deforestation-free agro-commodity supply chains in Europe by 2020. To date, Denmark, Germany, Netherlands, the United Kingdom, Italy and France have signed, as well as Norway. 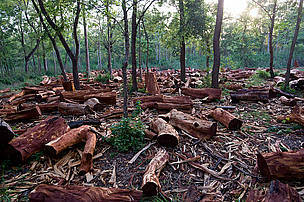 The EU is one of the top importers of commodities associated with deforestation, such as soy, palm oil, cocoa or meat. According to a 2013 study by the European Commission, the EU imported almost 36% of all the productions of crop and livestock products associated with deforestation traded between regions over the period 1990-2008. Deforestation and forest degradation is known to cause severe environmental and social impacts, including climate change and human rights abuses.